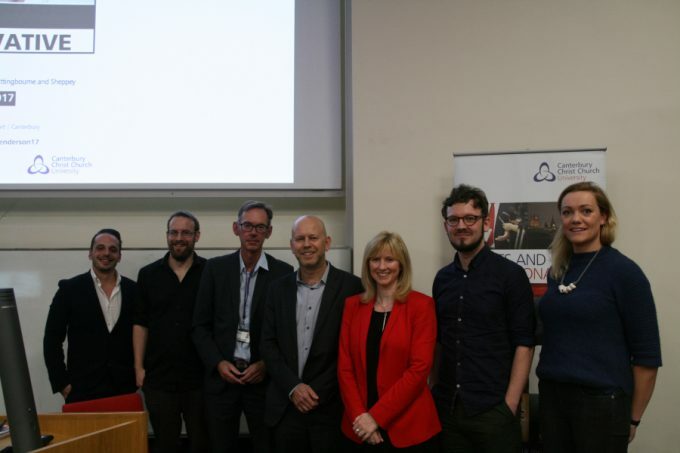 The Politics and International Relations programme as part of its Making Politics Matter series held a hustings for the Canterbury and Whitstable constituency on Friday 24th of April. Almost 300 members of the public, students, and community activists piled into the Michael Berry Lecture Theater leaving standing room only at the event. Those who came were rewarded with a superb event. There was palpable energy in the room as candidates responded with passion and erudition to various questions from the audience, generously moderated by members of the Canterbury and District Inter-Faith Action. Topics raised included – Women’s representation in Parliament, Immigrant deaths in the Mediterranean, Tax avoidance, the Future of Higher Education, and land use in Kent. There was also a very lively debate on twitter under the hashtag #CCCUhustings. Politics and International Relations programme director Dr. David Bates commentated: “Who said people are not interested in politics! 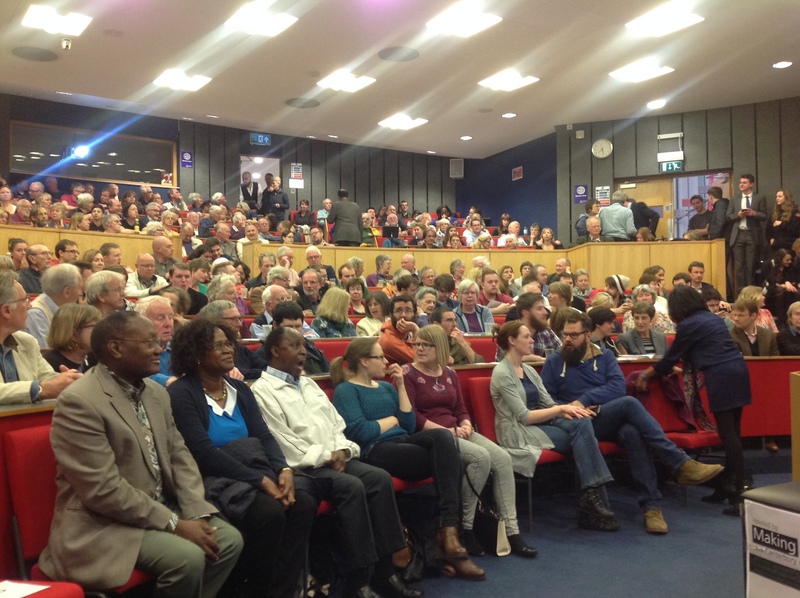 Over 300 people (students and public alike) attended The General Election hustings on Friday evening. 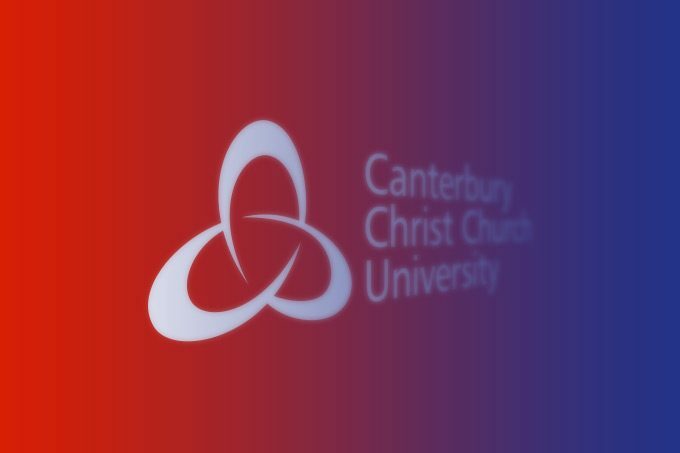 Making Politics Matter (led by staff and students of Politics and International Relations at Canterbury Christ Church University) are committed to public engagement. We would like to thank our organising partners – Canterbury and District Inter-Faith Action (CADIFA), the candidates, and the general public for attending. The questions posed were fantastic, and the candidate responses enlightening. The contest for Canterbury and Whitstable really is hotting up!”. The Canterbury Times newspaper was present on the night and have a nice selection of quotes available to view here.